Topic: Summer Program for Middle Schoolers. Langston Hughes Middle School will have a fundraiser at SkateQuest on Friday, March 8th from 7:30 to 9:30pm. $10 entrance fee...come out and support your school! Click here for information on SkateQuest. 20% Of Your Car Wash Fee Benefits LHMS PTA! This time of year it seems our cars are always dirty with rainy, snow, slushy muck everywhere. So why not give your car a nice wash and help raise money for the LHMS PTA at the same time! Just mention Langston Hughes Middle School PTA at the time of your car wash and/or bring this flyer with you to help us earn 20% of the car wash fee. Next Meeting - March 14th at 6:30 p.m.
Join us for our next LHMS PTA meeting on Thursday March 14th at 6:30 p.m. Our topic will be a renovation update from Ms. Monticchio. You download the agenda here and we hope to see you there! Join us for our monthly meeting on Thursday, January 10th at 6:30 p.m. Our speaker this month will be Tim Wissinger, LHMS SRO. Monthly PTA Meeting Thursday November 8th! 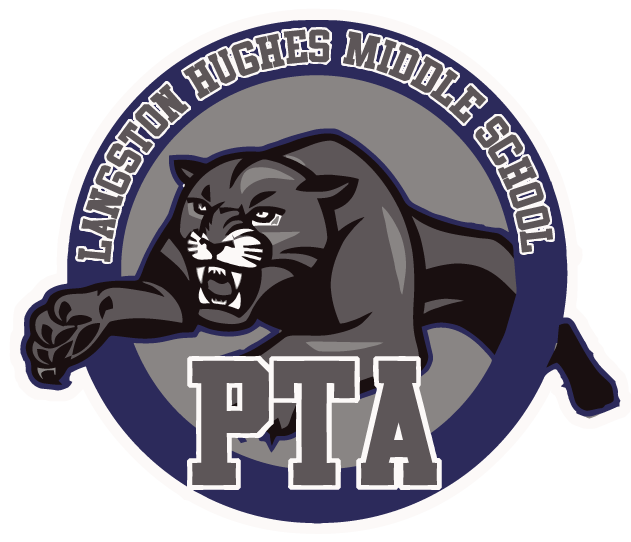 Join us for our monthly PTA meeting at LHMS beginning at 6:30 p.m. You can view the agenda here. This month's topic is Mental Health and our speakers are Katie Smith,School Psychologist and Michele Beard, Director of Student Services. We hope to see you there. Do you have an interesting career that you feel passionately about? ​Would you like to help inspire young people in our community? ​Volunteer at the Langston Hughes Middle School Career Day. We are looking for about 50 speakers from a variety of careers and education levels to speak with our students.